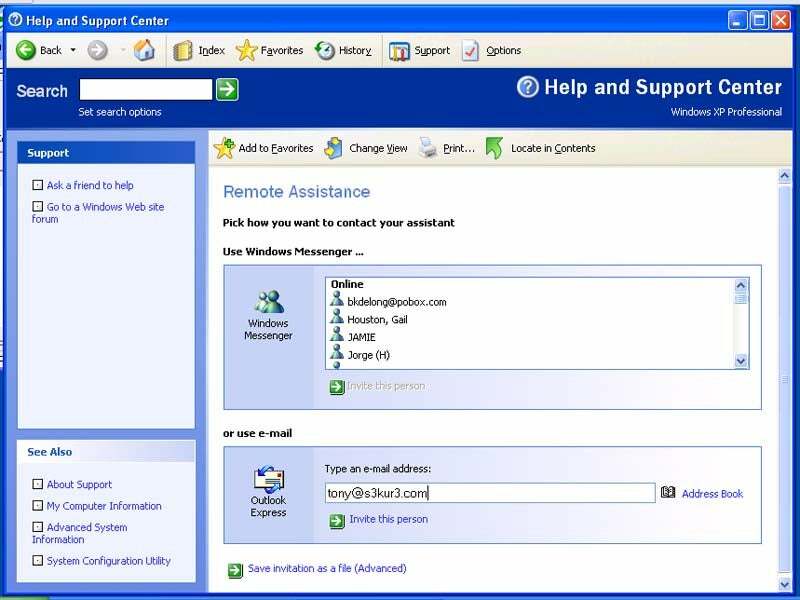 You can invite someone to connect with your system to help troubleshoot problems, using Remote Assistance. 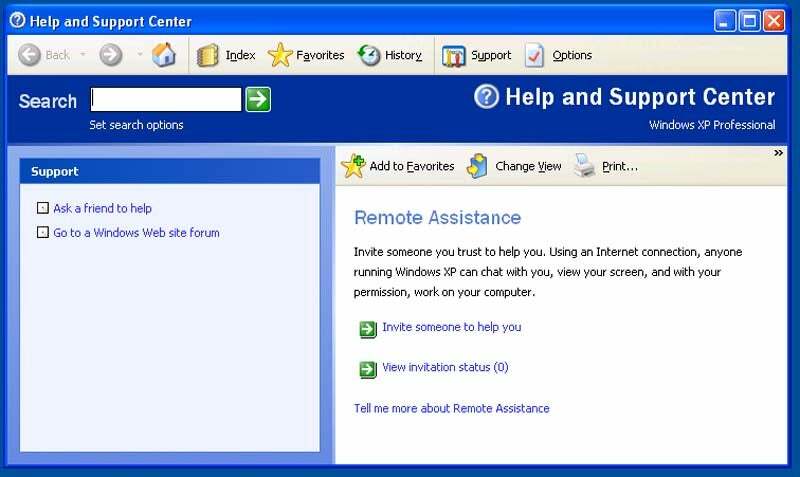 Windows XP lets you request assistance via instant messaging or e-mail. Windows XP and Windows Vista let you choose your password, but Windows 7 generates its own complex password--like this one.